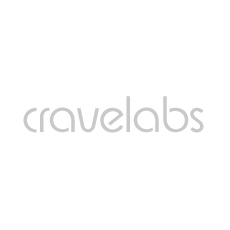 Based in Boston and founded in 2011, CraveLabs has developed a mobile advertising platform that enables companies of all sizes to create and manage their banner ad campaigns and mobile websites. DropIn Enterprise is an API integration solution that offers seamless mobile advertising integration into a current product or platform. DropIn Local Advertising is a mobile application that enables small businesses and sole proprietors to easily create and launch local targeted mobile display ads in under 5 minutes. Built exclusively for location-based campaigns, DropIn Pro is a full-stack mobile advertising platform offering place-based intelligence and targeted advertising. DropIn Vantage by Cravelabs offers location intelligence for media planning, location analytics, and attribution. DropIn Vantage users gain a deeper understanding of any audience or location, including brick and mortar or digital properties, without requiring a data science background. Self-service tools are all available through an easy to use, map-based interface.